Superdry men’s City sock triple pack. 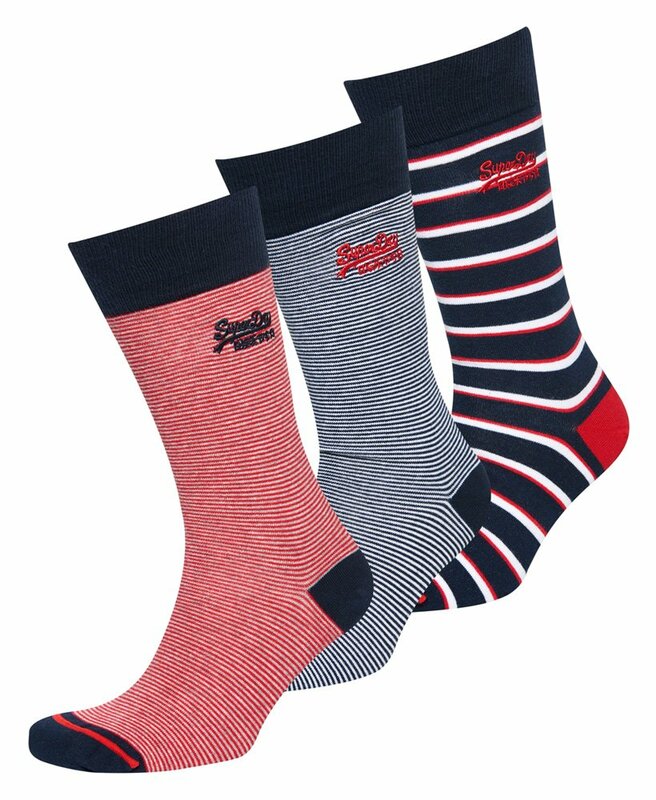 Soft touch socks featuring all over pattern design and ribbed hems. These socks are finished with a Superdry logo on the underside of the socks; as well as a Superdry logo embroidered under the hem.